Our pest control engineers have years of experience in the industry, and work safely at all times to identify, locate and remove wasps and their nests without any fuss. 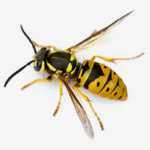 If you have noticed an unusual amount of wasp activity in your home or garden, it’s essential that you do not try to perform a DIY nest removal. If you can locate the nest – it could be in the attic, wall cavity, under roof awnings or elsewhere – make sure not to agitate or disrupt it. If you disturb the nest, the wasps are more likely to become territorial and aggressive, which will lead to stings for anyone in proximity. Instead, call on professional pest control specialists to deal with the problem for you. 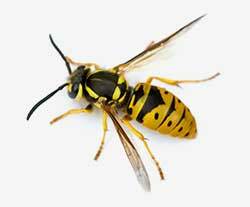 ClearFirst Pest Control ensure a fast response to your wasp infestation, so don’t hesitate to contact us today.